Belle/Faline. Please মতামত cause this became so cute, it looks like Faline is going to blow on the ফুল অথবা is that just me?. 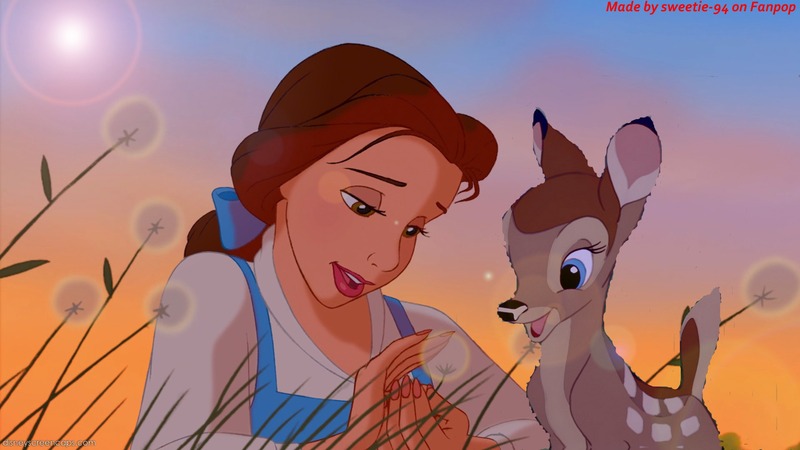 HD Wallpaper and background images in the ডিজনি Princess Crossover club tagged: disney crossover bambi beauty and the beast faline belle.